We were very impressed with the quick and installation. And we love the quality of the fence and are already enjoying the benefits. Thanks Hilda for the feedback! 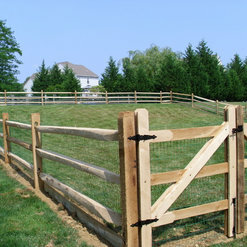 Quick turn around and quality are staple principles at The Fence Experts! 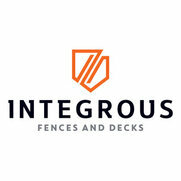 Everyone we dealt with at The Fence Experts was professional and responsive to all of our questions. 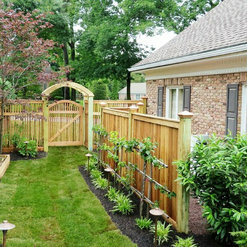 Mark M. was particularly patient in working with us as my husband and I went back and forth about what kind of fence we wanted. John S. called on our land line, my cell phone, and sent an email when he needed to reschedule the installation because of the weather. He was prompt in getting back to us to set the new date when the weather report was more favorable. The Martin brothers made sure that we were all "on the same page" before beginning installation, and all of our dealings with them were very pleasant. 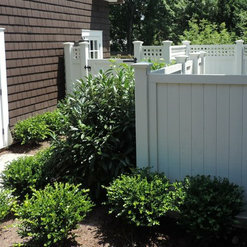 We were concerned that our side yard was too small to be fenced in, but the final project is visually pleasing. Their price was very reasonable compared to the other estimates we obtained. And now we have an area to let our dogs run around in as well as let out briefly when the weather is unpleasant. 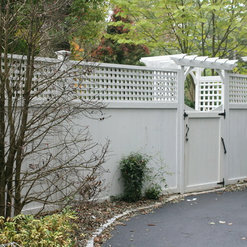 We hired The Fence Experts to install an aluminum fence and driveway gate, and a white plastic picket style fence. 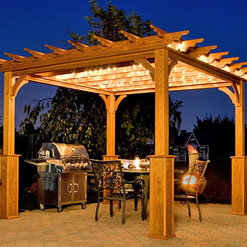 They were very professional, the company provided good communication, and they did a great job. 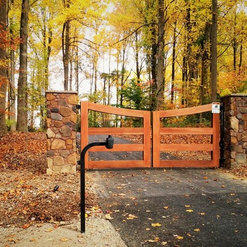 When the weather got very cold, some movement occurred and the driveway gate required adjustment. They came out right away and fixed it. I was very impressed with their response time and keen interest in making sure we continue to be happy clients. I would definitely recommend The Fence Experts. They are a pleasure to work with. 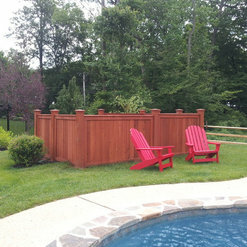 John Esh and the crew at The Fence Experts are spectacular! They did our fence in January 2015. I was amazed at their professionalism and courtesy. Along with that, they cleaned up every day when they were done and were never an inconvenience. We had sub-zero wind chills and they still showed up to get the job done. You don't see that often. I cannot say enough good things about them. 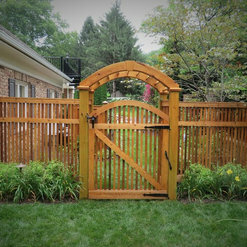 We had a problem with one of the gates lining up afterward and their response was fast and positive. Good company - good product - and fantastic people to work with! 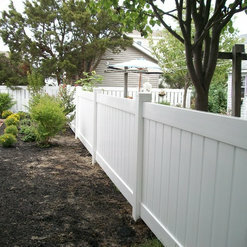 I had "The Fence Experts" install a run of 100' of vinyl fencing to separate my property from the neighbor behind us. They were professional and courteous throughout the quote process, and until the end of the project. The were respectful of my schedule and they took the time to explain all of my options. I absolutely plan on using them again. When it comes to contractors, these guys are as good as it gets. They came out, discussed what we wanted to do and provided a reasonable estimate. Installation was fast and the installers were very professional and even suggested options on the spot which turned out to be great suggestions. If that weren't enough...about 10 months later, two of the gates wouldn't open well because the ground was freezing and pushing up the cement slab underneath. They came out right away and adjusted the gates, and they did this after a snowstorm. Great guys all around, can't say enough good tings about them. This is a very customer friendly company. They provided reliable and good work. They built my fence in December of a bad winter very competently . When I presented a couple of concerns, they reassured me that they stand by their work and my issues were addressed promptly. I would not hesitate to use them again! I recommend highly. Jason and his staff are awesome. 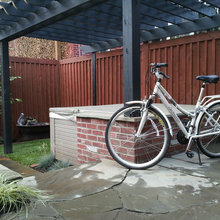 Gave me the best price for 6' solid vinyl privacy fencing, with additional steel top rail for extra support, installed in a timely fashion, respectful, cleaned up all debris, and understood my requirements. Highly recommended. The photos I'm attaching show the type of fence; I specifically asked Jason's staff to follow the flow of the ground so that the bottom of the fence never was more than about 2" from the ground. Helps keep out the wild critters and keeps my own four-legged family members in the yard. All the interactions I had with this company were stellar. From the estimate thru the install. They were very conscientious and produced high quality results. The installers were respectful and even wiped down the fence as the final step. They were extremely accommodating as I had a large gathering scheduled for my son's graduation party and wanted the fence up before the event. I cannot say enough good things. Commented: Love this fence.....caption indicates it is aluminum but is it?This is aluminum rail fencing, powder coated black. Commented: can you tell me the hight of the fence? And what type of wood is it?This is a 4' high Split Rail fence. Locust posts, Hemlock rails. 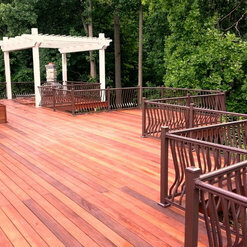 Commented: What color's the stain?It's been quite a while---I think this was the New Redwood Cabot stain. 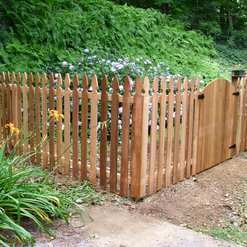 Commented: need 2 choose fence design, on a corner lot fence needs to curveMaterials to outlive you? will need to be vinyl or aluminum. 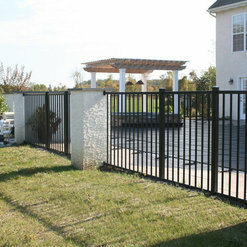 You can custom-fabricate steel fences for curves, but that usually comes with a 20-25 year warranty, max.